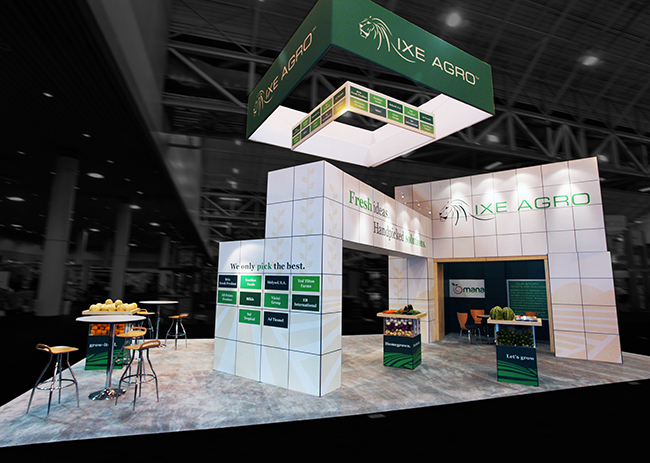 When IXE Agro came to us, they were on a mission to make a statement on the trade show floor. 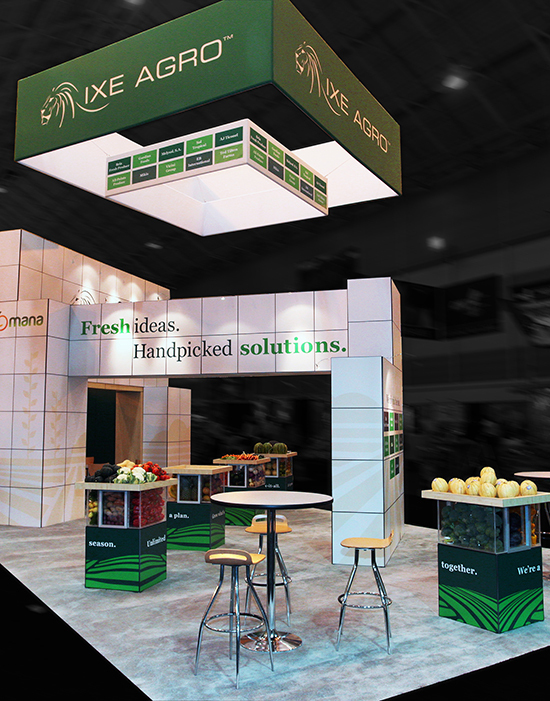 The concept of the booth was centered around their tagline of “Fresh ideas. 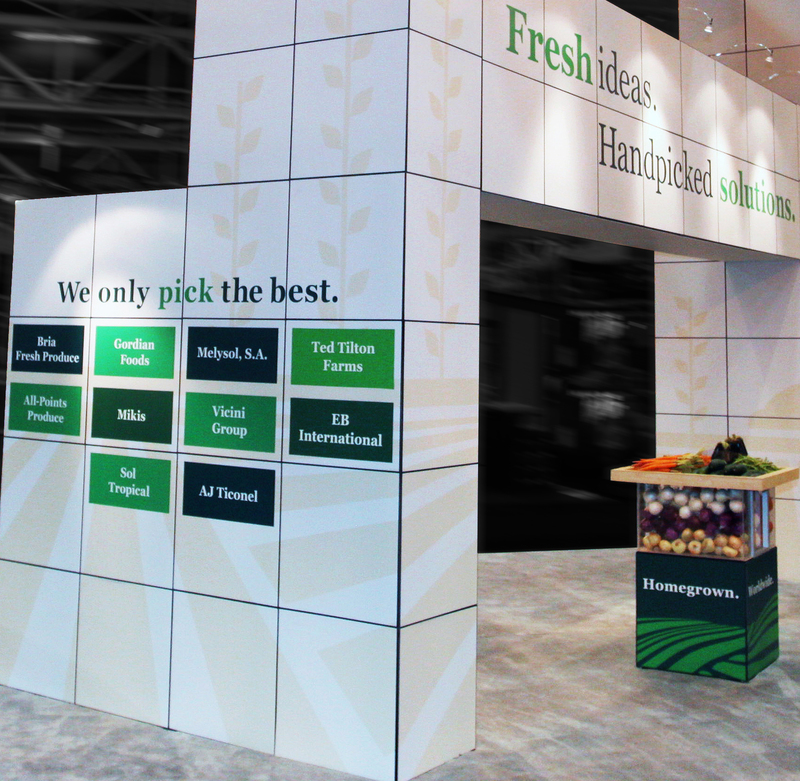 Handpicked solutions.” The custom 20’x40′ trade show booth solution we created for them successfully integrates their branding and messaging while also highlighting their product and partners in the industry. 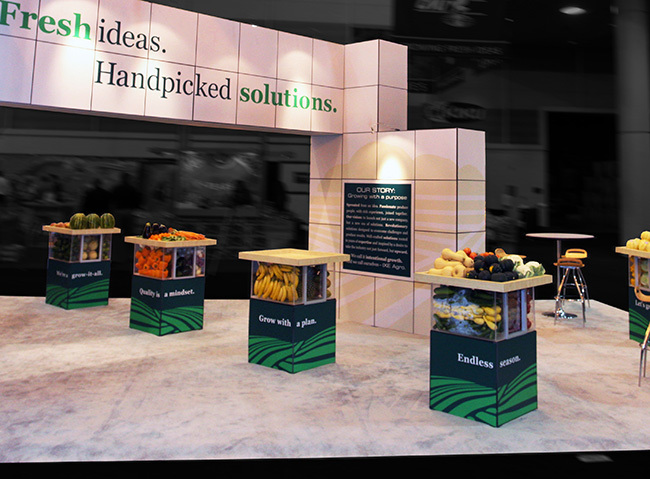 The modular system with which the booth is built offers ultimate flexibility and can be reconfigured to fit future exhibit spaces based on the client’s needs.